Made by the Five Who Fans own Dan Sherratt and David Boskett, this wonderful tribute to a decade of NuWho celebrates the show in style in a fun and upbeat way a contrasted to the next item on the list. Youtube legend John Smith has created an equally brilliant video which is much more sombre and reflects on the series darker side. Smith manages to show off the beauty and depth of the show in such a short time, which is no mean feat. The masterful video editor VG934 presents a different look back at this show, which also serves as a look forward. 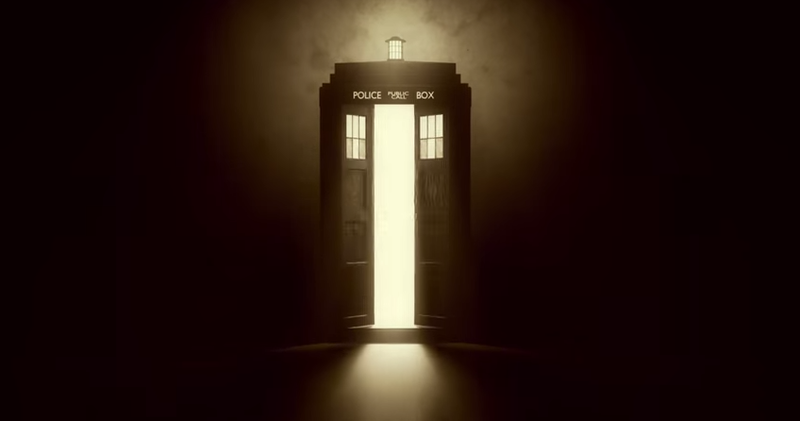 Presented from the prospective of 1996, the trailer shows what viewers of the TV movie can expect of ten years of Doctor Who and boy is it a treat. Doctor Who himself, Peter Capaldi appeared at the Doctor Who Experience on the 26th of March to conduct an orchestra of children in singing happy birthday to mark the shows tenth anniversary. Peter Capaldi. Cake. What’s not to like? A brilliant minisode (if that is the right word) celebrating classic and NuWho. In the same vein as Time Crash, this wonderful short features the Eleventh Doctor (Thomas Rees-Kaye) and the Second Doctor (Christopher Thomson) meet on Trenzalore to discuss their darkest hour. Wonderfully written by Rees-Kay and Guy Lambert, Rees-Kaye and Thomson give pitch perfect performances as The Doctors. There are also some great Metro, Digital Spy and Den of Geek articles about the show by the brilliant Cameron K McEwan (aka Blogtor Who) which you can find here. Finally the Radio Times snagged the ultimate scoop with their special messages from the cast and crew of Doctor Who to the faithful viewers of the show which you can read here.